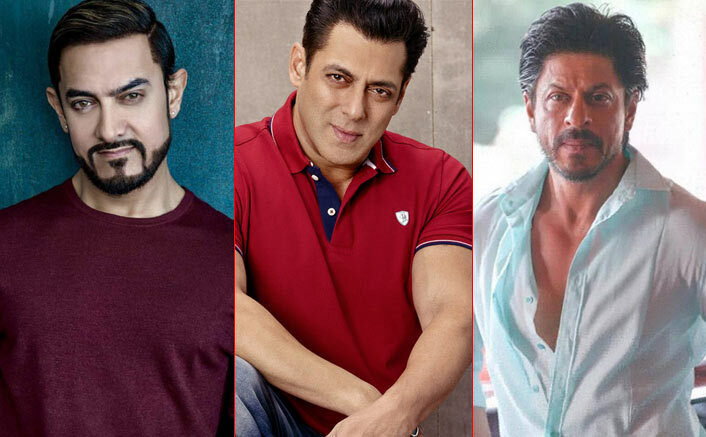 Salman Khan On Being Biggest Of Three Khans: "I am Surviving On Mediocre Talent And Luck"
Bhai of Bollywood in his latest interview has spoken in length about his stardom and what drives his films towards success. Salman Khan has wrapped up the first schedule for his upcoming much-anticipated film Dabangg 3 in Indore and will soon kickstart the promotions of his upcoming Eid release Bharat along with Katrina Kaif. Meanwhile, the Bhai of Bollywood in his latest interview with DNA has spoken in length about his stardom and what drives his films towards success. Talking about being the biggest of three Khans he said that it’s just the grace of God that his films are doing well and he doesn’t really think he is the best. “There’s also Akki, Hrithik and Ajay,” he said mentioning Akshay Kumar, Hrithik Roshan and Ajay Devgn. Do you guys agree with Bhai? At least, Bhai is telling the truth, the bitter truth for him, He should just leave the film industry for ever because his stupid fans are suffering for his below average performance that is giving headache nothing else. He should also take his Muslim brothers with him too because we have highest level of Hindu talent, which admits that they’re the best and second to none acting skills like ranveer singh, varun dhawan, Ajay, Akhsay, Vicky kausal to name the few.